Austin Landmark Property Services has been providing Austin property management since 1986. We focus on each individual property, and the needs of its owners and tenants. We have earned the Certified Residential Management Company (CRMC®) designation from the National Association of Residential Property Managers (NARPM®). This sets us apart from other Austin property management companies and demonstrates that we meet the highest standards of professionalism, financial management, and ethics. Fewer than 5 percent of residential property management companies have passed the rigorous requirements for this designation. At ALPS, we believe in excellence, and we bring our high standards and expectations to the way we manage your property. Our mission at Austin Landmark Property Services is to serve landlords and tenants with integrity, courtesy, respect, and efficiency. When you’re looking for residential property management in Austin, make sure you talk to us. We can answer your questions, solve your problems, and help you turn your property into a more profitable investment. We work with real estate investors, landlords, and tenants within Travis, Williamson, Hays, and Bastrop Counties. There are several things you need to know about Austin Landmark Property Services. We employ Realtors licensed in Texas to provide full service property management. This lends credibility to the work we do and demonstrates that we take this industry seriously. The National Association of Residential Property Managers has designated ALPS as a Certified Residential Management Company (CRMC®). The ALPS staff is talented, knowledgeable, and experienced. We have well over 100 years of combined experience in Austin property management. The benefit of experience is invaluable when solving problems. ALPS has been in business for over 30 years, making us experts on the Central Texas rental market. The cities we serve include Austin, Cedar Park, Leander, Round Rock, Pflugerville, Kyle, Buda, Lago Vista, Georgetown, Lakeway, Bastrop, Elgin, and Hlutto. We have successfully helped owners and tenants enjoy a better rental experience. That’s due to our ability to develop and maintain positive, respectful relationships. We build relationships with property owners, tenants, and vendors to ensure everyone is working towards the same successful outcome. ALPS provides you with property management solutions and innovative ideas that can turn your investment from good to great. You have many choices when it comes to finding an Austin property manager. Choose a team that leads the local market and the industry with knowledge, service and commitment to excellence. Our experience, knowledge and training set us apart. But the real difference is our values and culture and we look forward to sharing that with you. We manage rental properties across Georgetown, Lakeway, Bastrop, Elgin, Hutto, and the surrounding areas. Find financial freedom with property you already own. Get started as a real estate investor. I am happy with all your support and services that you and the entire ALPS team have provided. Your excellent management services make owners such as me feel that much more at ease under your care. 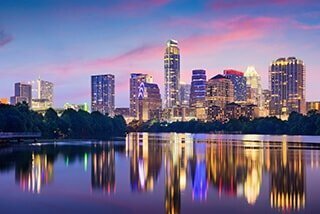 Why Use Austin Landmark Property Services? You don’t need to be up nights wondering if tenants are destroying your property or plotting to take you to court because they didn’t get their full security deposit back. At Austin Landmark Property Services, we protect your property and we keep you compliant. A rental property in Austin cannot be successful unless it’s occupied by great tenants. We specialize in marketing to high quality tenants, screening them for a positive history of successful rental experiences, and retaining them for the long term. Tenants in the Austin market are smart and savvy. They know what they want and they know where to find it. We make sure our properties are desirable, competitively priced, and accessible to the best tenants in the area. If you’re already renting from us, you know how much we value you. Our team is here to help make your rental experience positive. We want your house to feel like a home. We’re glad you’re considering one of our homes. We want to make the showing and application process as easy as possible, and our technology helps us do that. We know your time is valuable, so feel free to schedule showings that are convenient for you, and let us know if you have any questions. When you’re ready to fill out an application, we’re here to help. ALPS has done a great job of managing several properties for us. They’ve taken a lot of the headaches out of owning rental properties.